I’m a busy mom. Actually, that’s an understatement. Most mornings, I barely have time to brush my hair, so you can imagine how challenging it can be when I have to plan a play date or a special Valentine’s night out with my husband. Over the years, a good old fashioned Google search has usually done the trick, but I’ve recently discovered a smartphone app that takes that search to a whole new (and very convenient) level. 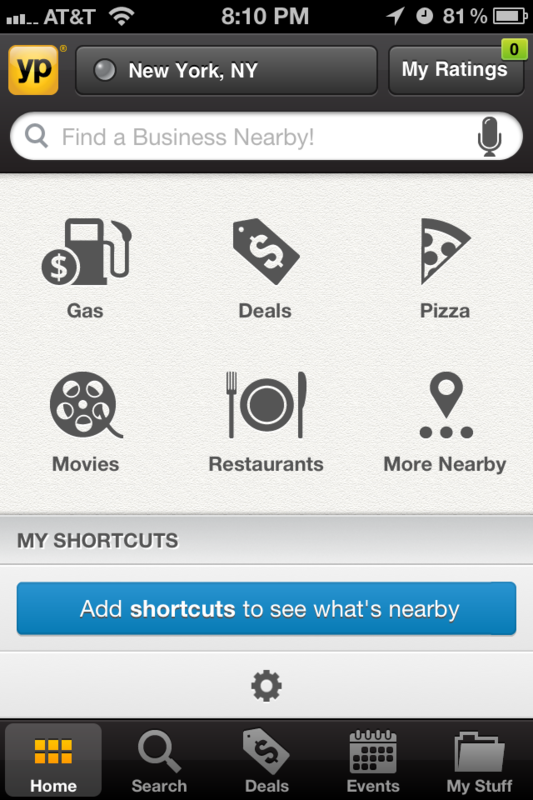 It’s called “YP – Local Search & Gas Prices” and it’s free for the iPhone and Android. What’s nice about the app is that unlike a Google search, YP delivers localized results for restaurants, stores, and other locations in your area. This knowledge of local restaurants is where the app really shines, which is what I used it for recently to plan a dinner with my husband. You can search restaurants by category — Mexican, Chinese, Health Food, and Fast Food among about 20 others. The coolest restaurant search feature is the ability to search menus, just in case you’ve got a craving for strawberry cheesecake, lamb chops or calamari (or all three!). To do this, the app scours the actual menus of more than 300,000 restaurants in the U.S. so you can find exactly the type of food you’re looking for. It also lets you check out photos of the restaurant, hours of operation, and check ratings and reviews posted by other diners. You can even narrow your restaurant search by price and even choose based on ambiance (categories include casual, family, groups and romantic). And once you find a restaurant you like, you can share the restaurant with friends through the app’s social sharing feature. You can narrow down businesses to those offering discounts and offers. They can be searched and shared via text, email, Facebook or Twitter. If you save them in “My Stuff” the app will even remind you if it’s going to expire soon. You can find the cheapest gas on the way to your destination. The app notes the best options based on price and distance based on your personal preference – whether it be premium, standard or diesel. The app will help you find movies showing in your area without having to visit multiple websites. Check out some of the options! So which restaurant did I choose for our night on the town? Not surprisingly, there were no “romantic” pizza restaurants, so I chose a nice placed called the Fire House. It’s got a 4.5 star rating (out of 5 stars) and was called “simply amazing” by one reviewer. What would you pick? 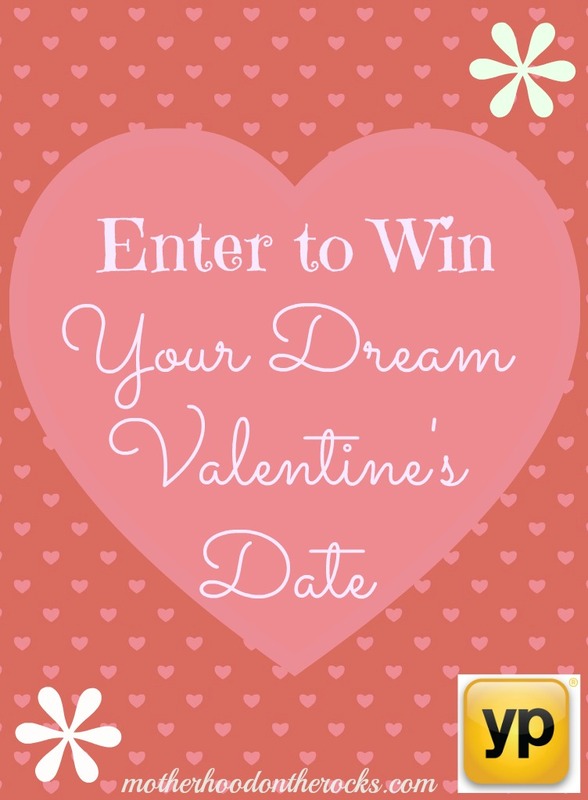 You better get prepared because YP is giving one lucky reader a $200 Visa gift card to plan their dream Valentine’s date! Simply enter using the Rafflecopter below. This content has been compensated, however, all opinions are my own. I have not used this app yet but those I know that have use it a lot so it is on the list to be downloaded! I haven’t heard of this app before, it sounds awesome! We have a nice romantic resturant by us that we visited about a year ago. We keep saying we’d love to go there again, but it’s a bit costly. I’d pick this place since both my husband and I loved it! My dream date would be anywhere without my kids! LOL! Even to see a movie would make my day! I want to go to any of the amazing local restaurants. Raleigh is full of locally owned, fancy restaurants. I’m not sure which one I’d want to go to, though! SO HARD! There is a FANTASTIC and quite spendy Italian place not too far from where we live that has the most amazing food! We don’t go there that often since we could easily spend $150 or more for dinner and drinks. Looks like a great app for planning any event! I would love to go to Cattlemen’s with my husband on Valentine’s day. 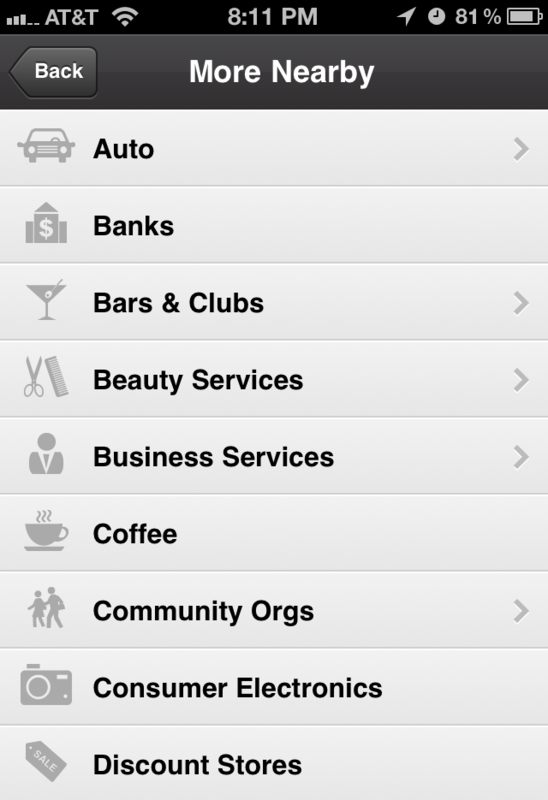 We love using Yelp to find out recommendations for restaurants, hotels, and activities to do around town. Especially when we’re traveling. This is such an awesome giveaway! We are a pretty boring couple most of the time, so on our dream date, I know I would love to visit a Mexican restaurant we found by chance last year a state away from us. It’s a good 2 1/2 hour drive, but for the amazing food, we’d gladly drive it again. this app sounds great. I have never heard of this before. What a great way to find new restaurants and share them with your friends. THis looks like a wonderful app. My favorite place would be Hawaii! I really need to get a smart phone, there are so many cool apps. I’d love to go to a great local restaurant and a good movie. I would take my hubby to Commander’s Palace. On my dream date I would go out for dinner and a romantic movie. I would go to a nice restaurant. Anywhere in Cape San Blas Beach, Florida with my hubby! We would go to Greece!